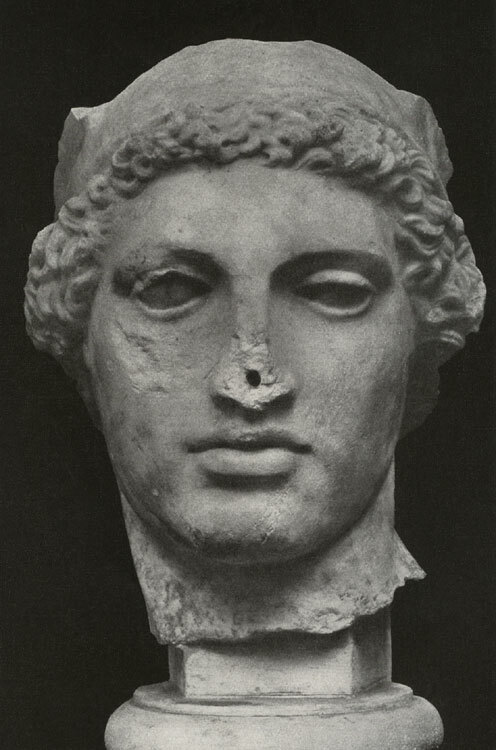 The so-called head of Perseus. Rome, City collection (in 1923). Photo, text: O. F. Waldhauer. MIRON. RSFSR. Gosudarstvennoe izdatel’stvo, Berlin, 1923, ill. 19. From Brunn. Denkm. griech.-röm. Sculpt. Verlag F. Bruckmann A.-G., München.